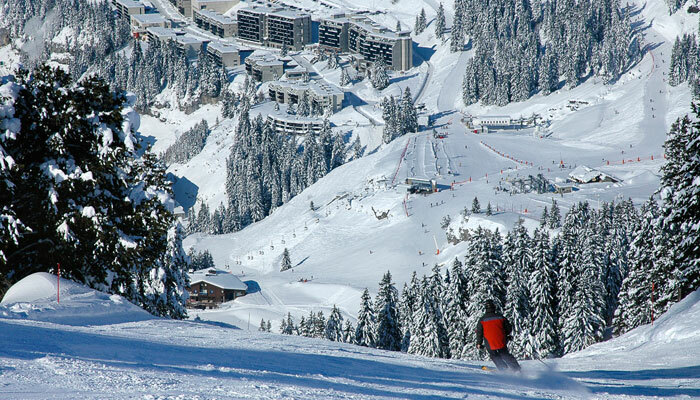 Flaine ski resort is located in one of the largest ski areas in the French Alps, Le Grand Massif. Its situation, close to Geneva airport, and the doorstep skiing accommodation, allows you to be on the slopes in just a few hours. Le Grand Massif offers exciting skiing on 144 carefully maintained runs, totalling 265km … and they start right on your doorstep! The area is blessed with one of the best snow records in the French Alps. 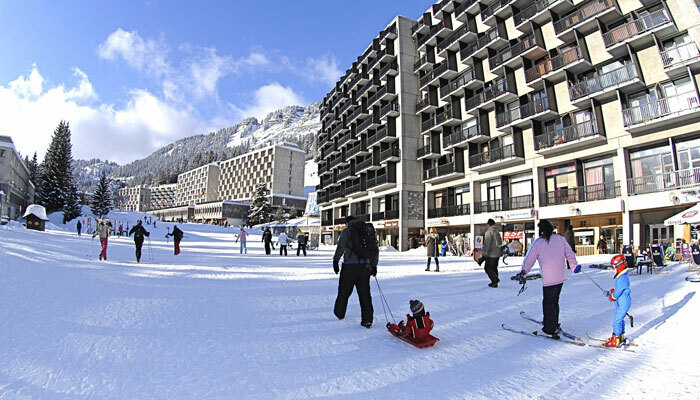 Flaine is a modern, car free resort. Services, shops and amenities are grouped together, only a few steps away from your accommodation. Fun activities, entertainment, bars & restaurants will keep you going after skiing and make your ski holiday unforgettable. The resort centre is kept car free. You are allowed to drive up to your doorstep to load and unload. A free shuttle service runs all day long between the resort centre, Le Hameau and Le Col de Pierre Carrée (Cross-country and walking trails). Flaine is great for beginner and low level skiers and snowboarders. Good nursery slopes are located in as well as outside the village of Flaine, making this an ideal ski resort for beginners and families with young children. Flaine is very good for intermediates, the majority of the slopes being blue and red. The challenging Faust red slope runs from the top station all the way back down into the resort, with a few short and fairly steep sections that are sure to get the adrenalin going! Runs not be missed include the Fred red run and the Styx and Le Diamant Noir blacks. By taking the Aup de Véran gondola you will find the steep terrain below the Tête des Lindars at 2561m and from here you can cross Le Diamant Noir and take the long Almandine red which will take you back towards the village.